Metallica plan to keep performing for the next 20 to 25 years and have no desire to retire as they are feeling "rejuvenated and energised"
Metallica plan to keep going for at least 20 years. The heavy metal legends have no desire to quit touring or making music like their peers Slayer – who are currently on their 'Final World Tour' – and are feeling more "energised and rejuvenated" than ever before. Despite wanting to keep the band active, drummer Lars Ulrich, 54, admits he has "no idea" what Metallica will "sound or look like" further down the line. The stickman told Philadelphia radio station 93.3 WMMR :"A lot of people are retiring, and we feel very energized and rejuvenated. I mean, we wanna go [a] long [time]. "We hope we can get another 20, 25 years out of Metallica. I don't know what it's gonna look like, I don't know what it's gonna sound like, but that's in our heads." Insisting they are in it for the "long game", he added: "We're not sitting there thinking retirement or this or that; we're sort of more the opposite. So I would say, for us, everything we do is kind of a long game. "And back then, when you were 17, you only think of, like, the next five minutes. 'Where is the next beer? Wooh!' So that's kind of different mentality nowadays." Metallica feel like they are in a new chapter of their career because they have a whole new younger fan base. He said: "It's crazy. It's unbelievable. There's more younger kids at our shows than I can ever remember. "Half the audience is under 20. And it also feels more like it's [a] 50-50 [split] between boys and girls now, which obviously [wasn't the case] 20, 30 years ago." 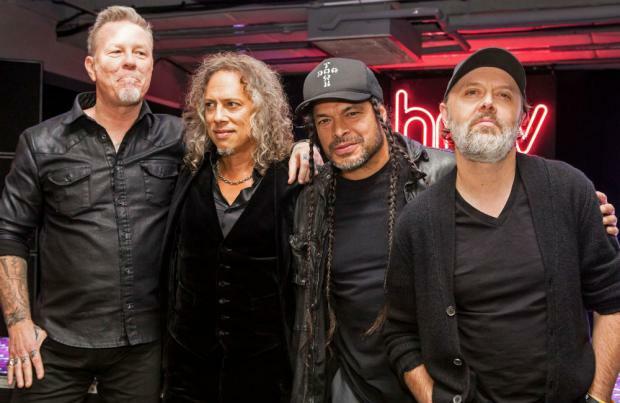 The 'Enter Sandman' rockers – completed by James Hetfield, Robert Trujillo and Kirk Hammett – will bring their 'WorldWiredTour' to Europe and the UK next summer. The run includes stops at Manchester Etihad on June 18 and London Twickenham Stadium on June 20.